The Daily Beast was not happy with just one story about the new host postion for Rev. Al Sharpton at MSNBC, now they have actually launched another story. That is a little over the top, don't you think? How long will it be before the President will have to distance himself from Al Sharpton? 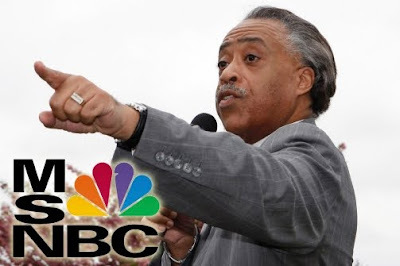 In the first story they tried to make a connection to Sharpton's new job and Comcast giving a total of $140,000 to Sharpton’s National Action Network since 2009; in exchange, they suggest, for Sharpton's support of the Comcast/NBC merger earlier this year. 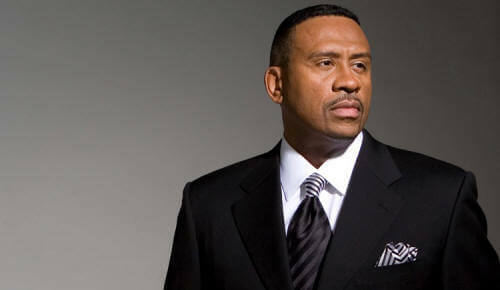 They also claim that Radio One has benefited from the merger as well. They write "Sharpton has actually been much more useful to TV One’s executives politically than he has been as a performer." @UrbnRadioNation what's wrong with that? It's the same game "they" have been playing why is it a issue now because now "we" are in it? Here's some food for thought: Former FCC commissioner Meredith Attwell Baker term expired in June and now she is Vice President of Government Affairs at NBC Universal. We are wondering as our reader has brought to our attention, where's the outrage over a commissioner approving the merger and NOW has a job with Comcast? They are trying to stop him so that other voices won’t be heard... right now Sharpton is the only black voice on at prime time, including "black" owned channels, talking about real issues that affect us and they know if his show is successful the flood gates will be open with even more voices talking about our issues (like my man Al Butler on WURD here in Philly, Dr. Marc Lamont Hill, Roland Martin, Stephanie Robinson, Jeff Johnson, & Jacque Reid to name a few) - so far they've been regulated to simply making comments or offer short commentary on other people’s (and you know what I mean by other) shows and its time we host some of these programs! Doesn't matter if you like or dislike Sharpton he brings our issues to light and this program is a valuable resource, we can't allow these bigots to shut him down or lock out the rest! Sharpton isn't on at prime time. Prime time begins at 8PM. I wish CNN or MSNBC would hire black talk radio show host, Joe Madison during prime time! He is what America needs to hear daily. I listen to his show daily on SiriusXM 128 The Power . . . the all black, black talk radio show. You can also listen to him on www.woldcnews.com 6AM-10AM ET weekdays! Joe does not play! He is on MSNBC weekly at least once a week and sometimes on CNN. He has been doing black talk radio for 30yrs. I would rather cnn/fox/msnbc put some one on like gary byrd, bob law, some 1 who won't just want to be on tv to add to their career list, those bothers have a long and storied radio career and even mentored al sharpton in radio, before he became the defacto standard for nationally syndicated black talk radio, and that is such a shame, because al sharpton is just shill for radio one and their business intrests, he's come along way since the days of community ativist in bedstuy, but has he really? and at what "cost" and on who's backs? c vernon mason? alton maddox?